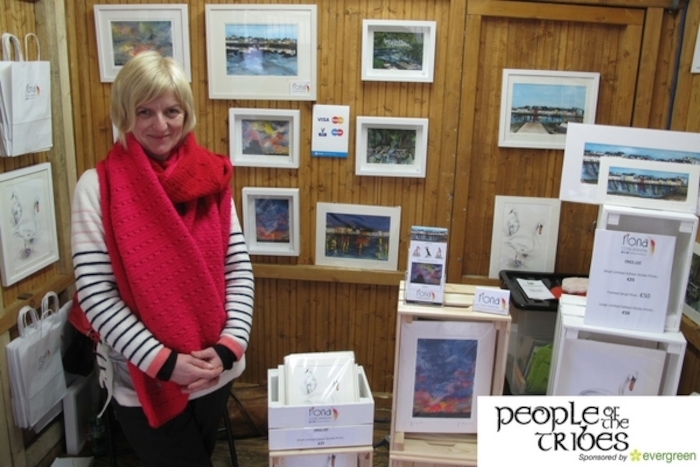 Hi, I'm Fiona Concannon, a professional artist from Spiddal, Co. Galway. I have studied Fine Art Painting in 5 different art colleges - Limerick, Galway, Cork, Belfast and Dublin, and have always been drawn back to my home in Galway, I love everything about Galway - the landscape is stunning, the people are so warm and friendly, there are so many lovely places to eat and drink, you never know who you are going to bump into or what madness is about to take place!! I am proud and lucky to call Galway my home, as an artist, it is giving me endless inspiration and material to work from, it really is a very special place.